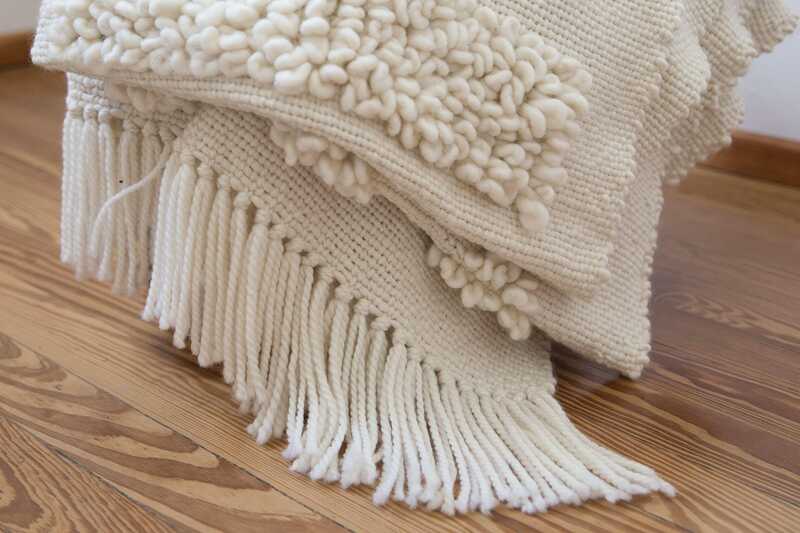 Geometric blanket chunky knit of natural finest merino wool creates a gorgeous, one-of-a-kind pattern look on this white woven bed cover. 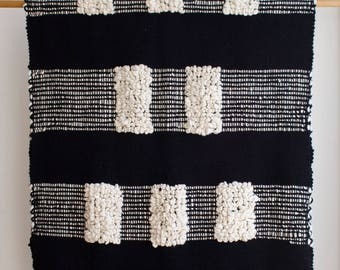 Embroidered tight volumes of giant knit loops merino wool yarn have been loosely knitted together into a plain woven merino wool weave textil. 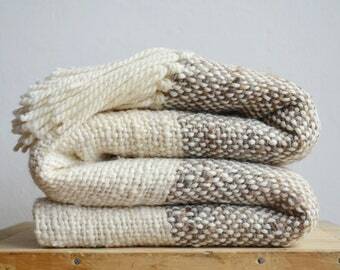 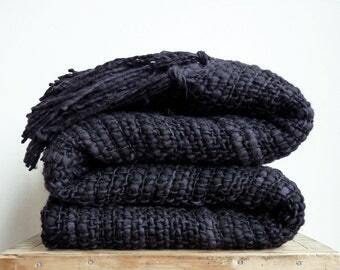 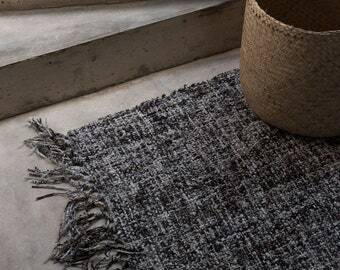 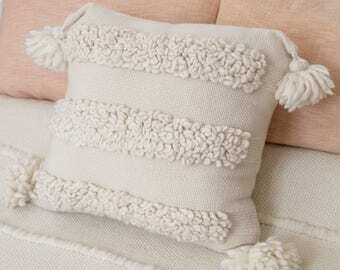 The purest merino wool is embroidered into a loose yarn, then handwoven into a fluffy merino throw blanket. 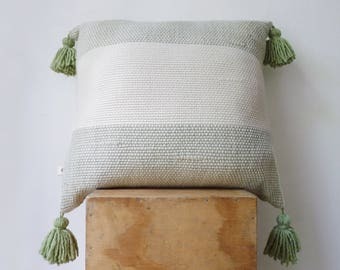 Add a pop of african mudcloth texture of your favorite sofa coach with experience Interior design concept by Texturable. 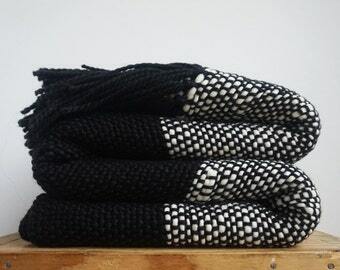 Please give me 4-6 week to ship your item!